Cardiff Community Dojo (CCD) offers a range of martial arts, including Budo Taijutsu, Systema and Boxing, as well as yoga and dance. Additionally, we have space for hire for many more martial arts and can provide high quality mats for the space as required. Head Instructor of Chi Ryuu Dojo (operating out of Cardiff Community Dojo), Owen Percy, has been training in a range of styles for 30 years. He is co-owner of CCD and welcomes any opportunity to broaden his martial knowledge. https://cardiffcommunitydojo.co.uk can provide you with more information, whether you're looking to train or to teach. Please contact for further information, or visit Cardiff Community Dojo's facebook page or website. Would you like more information on hours, classes and programs available at Cardiff Dojo? Please contact the school with your questions. 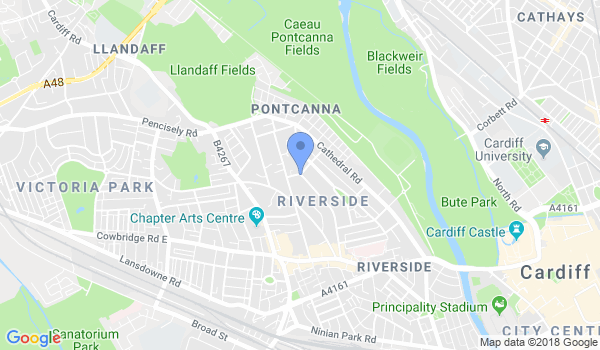 Update the details, Write a Review or Report Error of Cardiff Dojo.